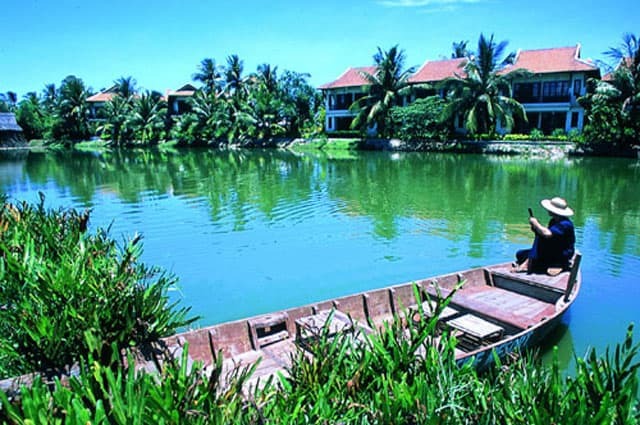 Cam Thanh Coconut Village is located about 5km from the southeast of the Hoi An Old Town, Quang Nam, Viet Nam. 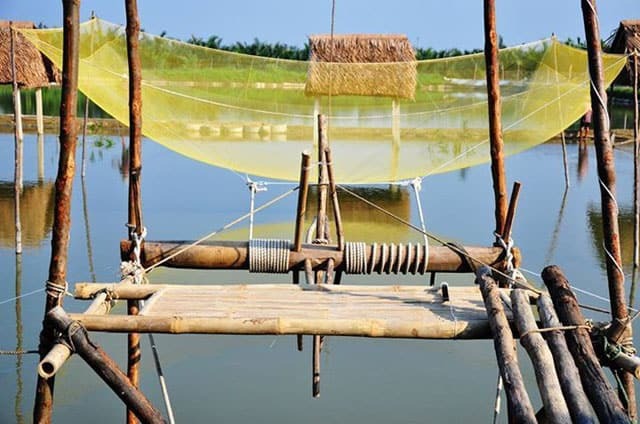 The existence of the craft of making coconut paintings and the water coconut forest ecosystem Cam Thanh has created a cultural space to attract domestic and foreign tourists to visit, sightseeing or study. 1. Why tourists should visit to this place? 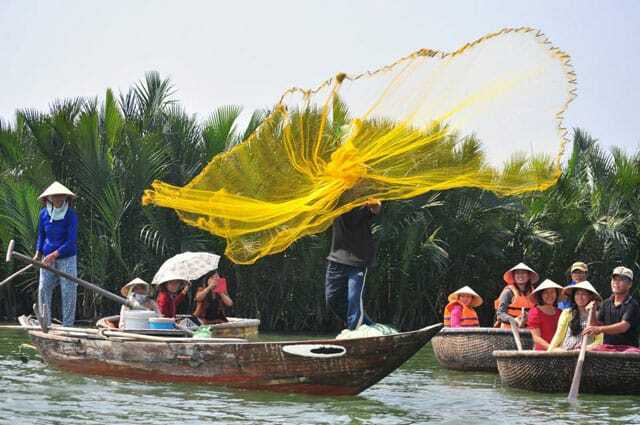 During the Vietnamese war, it was the shelter of local people and soldiers, and today it is known as a provider of seafood products to the region. The first impression of tourists in here is peace, not noisy. It secluded as a peninsula, house by house by the green flap coconut four seasons. Going into the village, tourists will easily enjoy the village’s tradition and the workers in here. 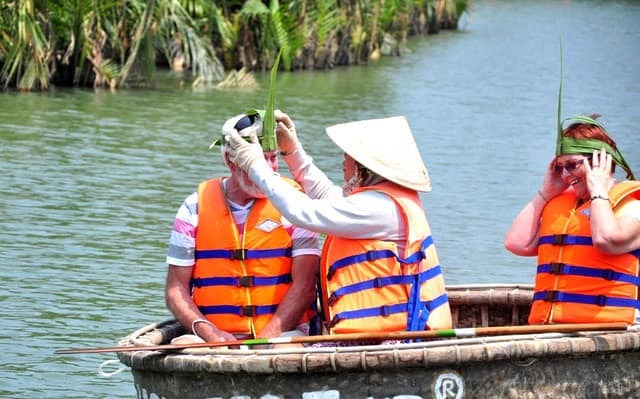 To the Cam Thanh, Tourists have chance to explore the water coconut forest ecosystem and learn about the daily life of Vietnamese fishermen, their families and their community. 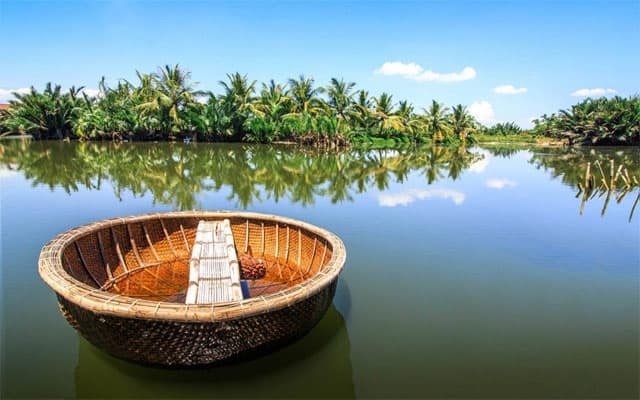 To the village of Cam Thanh, visitor will learn some techniques fishing tradition and how to paddle the unique Vietnamese bamboo basket boats while exploring the now tranquil coconut-palm flanked waterways of a past war. Rowing the unique Vietnamese bamboo basket boats through these small and beautiful channel, tourists come to inside of the water coco palm forest, see these coconut tree growing and get some water coconut fruit. 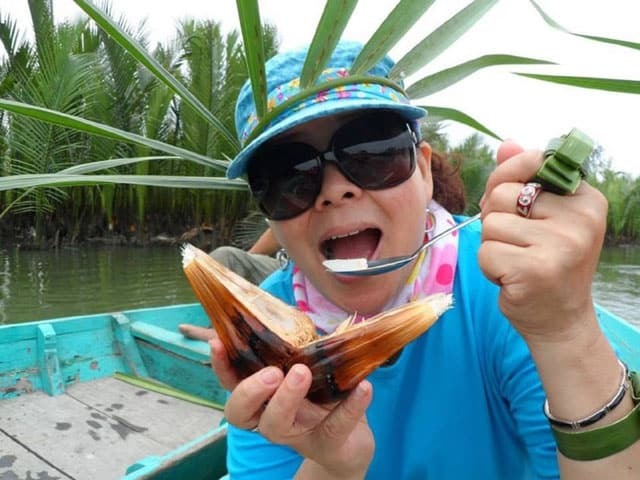 In Cam Thanh Coconut Village, there are plenty of restaurants offering cooking class. 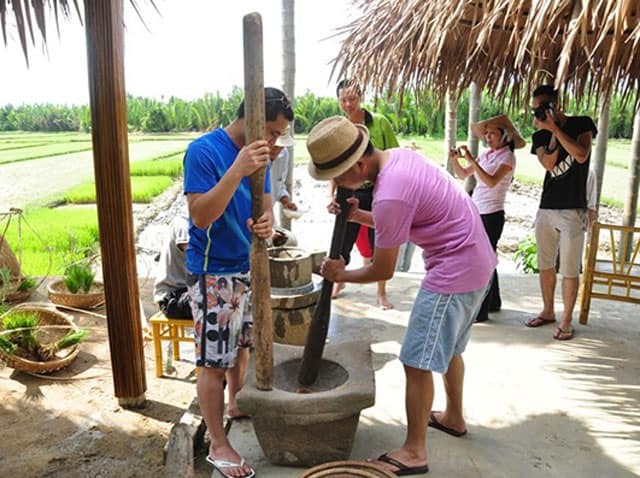 They often combine between cooking tour and eco trip. 3. How to get to it? 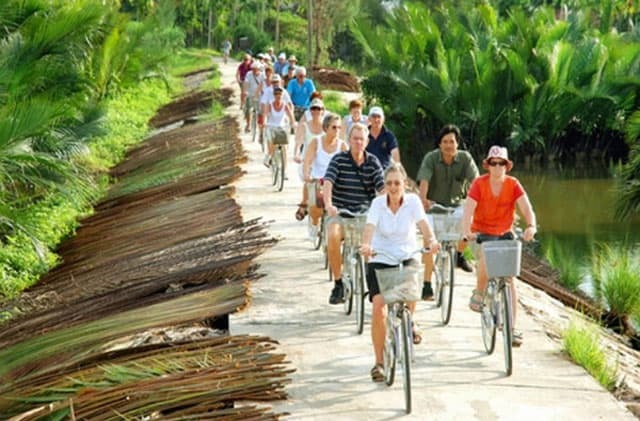 Visitors can take a bus from Danang to Hoi An, and a hired car and bicycle bike to Cam Thanh. It take only about 20- 30 minutes. 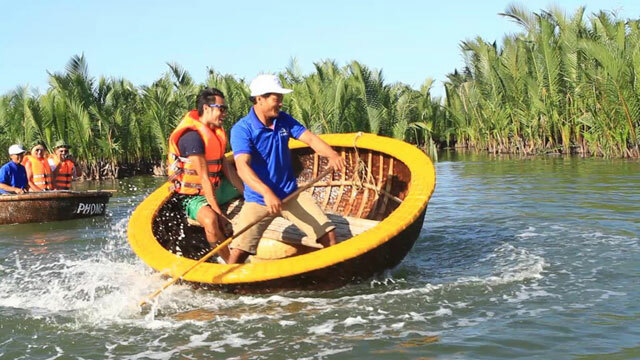 It has combined the trip to visit Hoi An ancient town, then hired car to the water coconut forest ecosystem. 4. When should tourists visit to it? 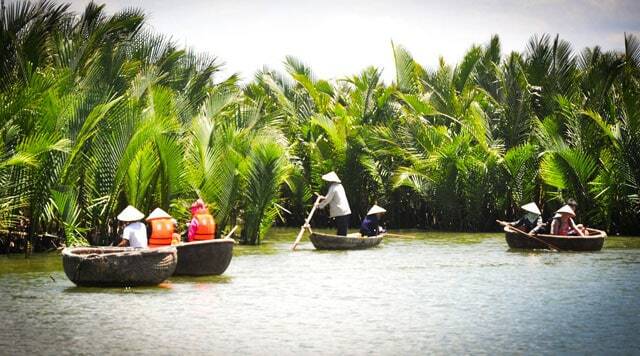 From February to April: The weather in Hoi An is very cool and pleasant. It is very suitable for tourists who want to come here to rest, relax. 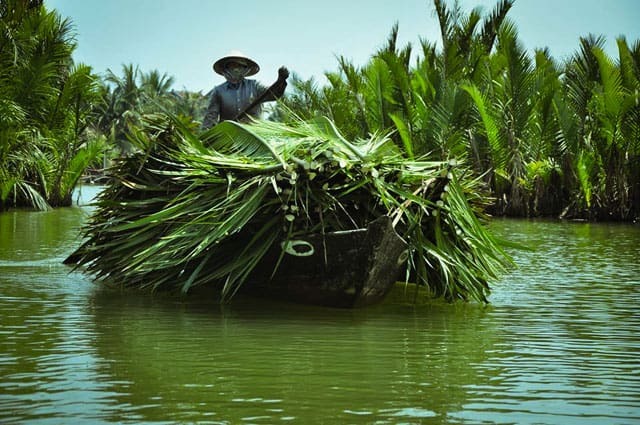 From May to July: This time is near the end of the dry season in Hoi An. 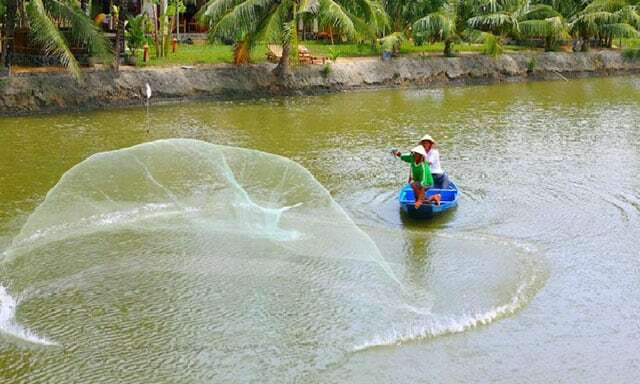 The weather is great to travel to Cam Thanh Coconut Village. Especially, tourists should come here on the 14th of the lunar. 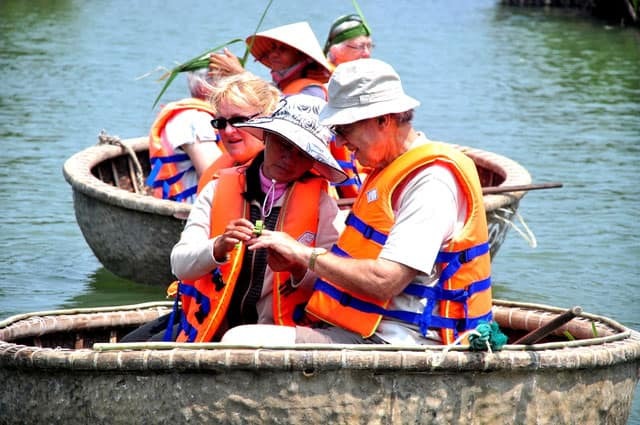 Because tourists can be combine to visit Cam Thanh Village and Hoi An Lantern Festival.